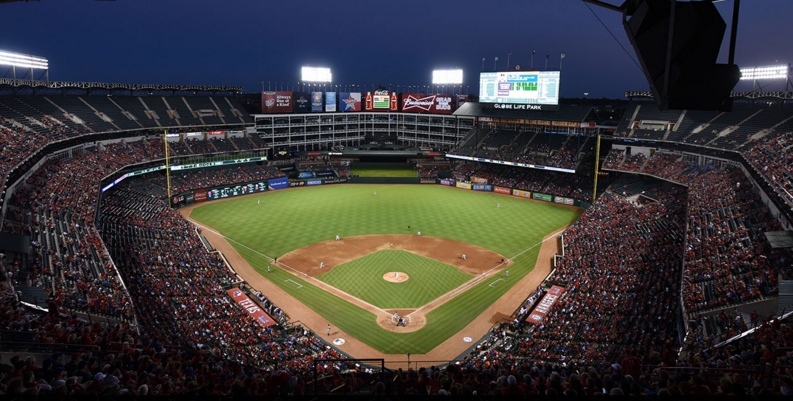 As part of their final set of tune-ups before Thursday’s season opener at Target Field in Minnesota, the Indians took care of the Texas Rangers on Monday night, topping the Rangers 10-1 in Arlington’s Globe Life Park. The big blow of the scoreless affair came in the fourth, when shortstop Eric Stamets, who will be Thursday’s starter in place of Francisco Lindor, clubbed a grand slam to break the game open. It was a night of big hits, as Greg Allen wrapped a bases-clearing, three-run double in the top of the eighth and backup catcher Kevin Plawecki connected for a two-run homer in the 9th. Carlos Carrasco looked sharp in his final outing before the regular season, going 5.2 innings, allowing an earned run on five hits with no walks and four K’s. The pen was perfect, as Oliver Perez, Adam Cimber, Dan Otero and James Karinchak all pitched scoreless ball to wrap up the nine-run win. Today the Tribe and Rangers will do it again in the wrap up and final exhibition game before the season opener in two days. Mike Clevinger will go for the Tribe, making his last start before Monday’s home opener against the White Sox, as he will take on lefty Drew Smyly for the Rangers. The game can be heard on Indians.com, with first pitch set for 2:05pm.